On December 7th, the story of Irena Sendler and the three high school girls who produced a nationally-known play about Sendler will be discussed on the CatholicTV talk show “This is the Day”. Jack Mayer, author of the book “Life in a Jar: The Irena Sendler Project” (Life in Jar), will be interviewed on This is the Day. Life in a Jar tells the story of Sendler, a Polish Catholic social worker who organized a rescue network to save 2,500 Jewish children from certain death in the Warsaw ghetto. 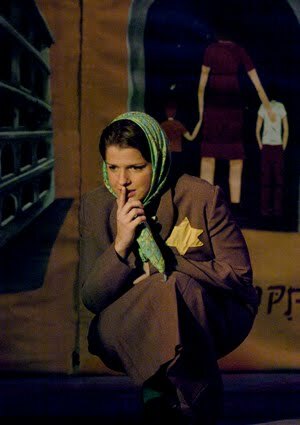 In 1999, three high school girls from an economically depressed, rural school district in southeast Kansas stumbled upon a reference to Sendler’s rescues, which they fashioned into a history project, a play they called “Life in a Jar”. Their innocent drama was first seen in Kansas, then the Midwest, then New York, Los Angeles, Montreal, and finally Poland. Also to be discussed on This is the Day will be the story of legendary coach Jim Cotter, who coached football at Boston College High School, a Jesuit school in Boston. His daughter Grace Regan will be interviewed on This is the Day along with Paul Kenney. In support of retired priests of the Archdiocese of Boston, CatholicTV will air special promotional videos during the month of December. In the Archdiocese of Boston, a collection is taken up during Christmas Masses to support the retired priests of the Archdiocese. The Archdiocese spends millions of dollars each year housing and assisting in the medical and financial needs of retired priests. CatholicTV also aired a promotional video encouraging the financial support of retired religious sisters. This video featured Sister Marian Batho, CSJ, a Sister of the Congregation of the Sisters of Saint. Joseph. During the week starting November 29th, “The Commons”, a Catholic music show which airs on CatholicTV, will feature musicians Trevor Thomson and Ike Ndolo. “The Commons” airs each week at CatholicTV.com and on CatholicTV at the following times (Eastern): Wednesday 7:30 AM; Thursday 3:30 AM & 4:30 PM; Saturday 9:30PM. Ike Ndolo was born in Missouri after his parents moved to the United States from Nigeria. At St. Timothy’s in Mesa, Arizona, he was mentored by legends Tom Booth and Matt Maher. Currently Assistant Music Director at Our Lady of Mount Carmel in Tempe, Arizona Ike leads worship every Sunday and is constantly evolving as a musician and a man of God. In addition to traveling the country to lead others to Christ, Ike has a great zeal for missionary work, stretching from Mexico to as far as China. As David says in Psalm 96, “Tell his glory among the nations, among all peoples, his wondrous deeds.” Ike has taken up the call, to be a servant to those around him—through his art, through his music, through his life. On December 3rd, Fr. Séamus P. Finn, OMI will be interviewed on the live CatholicTV talk show “This is the Day”. Fr. Séamus belongs to the Oblates of Mary Immaculate, a religious order known for its work with the poor and many other ministries. Fr. Séamus was recently featured on the Nightly Business Report on PBS. During the show, Fr. 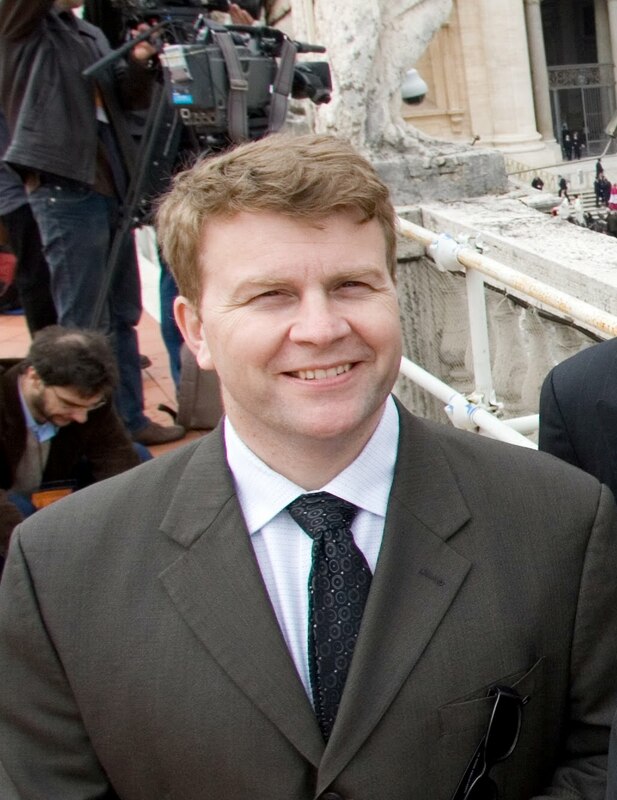 Séamus discussed how he and his colleagues fought for corporate responsibility and transparency following the Enron collapse. He also discussed how he advocated for increased transparency and regulation at large financial institutions and how their actions directly affect the poorest people in the world. Father Séamus represents the Oblates at the Interfaith Center on Corporate Responsibility in New York (ICCR www.iccr.org); a coalition of faith-based and socially responsible investors who work together to engage corporations. The coalition’s more than $100 billion is invested to promote the integration of faith-based values into the investment process. Father Séamus also represents the Oblates on the executive committee of the International Interfaith Investment Group (3IG www.3ignet.org). Fr. Séamus is a leader in faith-based socially responsible investing. He completed his doctorate at Boston University School of Theology in 1991. Fr. Séamus is also a consultant to Investing for Catholics, a company which provides fee-only advice on passively managed index portfolios screened for Catholic values. On November 23rd, a unique ministry called “God of This City Tour” will be discussed on the live CatholicTV talk show “This is the Day”. God of This City Tour events are large gatherings of youth complete with praise and worship, confession, Eucharistic adoration, and dynamic speakers. This year’s God of the City Tour will feature speakers Cardinal Seán O’Malley, OFM Cap., Sr. Olga Yaqob (featured in National Catholic Register, Boston Globe), Fr. Marc Bishop, Fr. Matt Williams, and Brett St. Gelais. Dr. David Franks and Dr. Angela Franks will also appear on This is the Day on November 30th. David is a full-time professor at St. John’s Seminary in Brighton, Massachusetts. Angela is Director of the Master of Theological Study program and the Catechetical and Theology Certificate programs at St. John’s Seminary. On November 26th, Matt Pinto will be interviewed on the live CatholicTV talk show “This is the Day”. 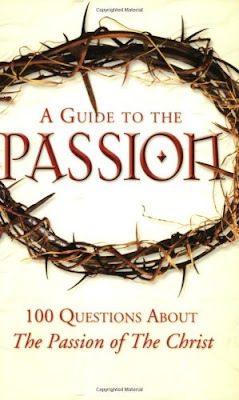 Matt co-authored the book A Guide to the Passion: 100 Questions About the Passion of the Christ, which went on to sell more than a million copies and hit #6 on the New York Times Best-Seller List. Matt also co-founded CatholicExchange.com and worked with apologist Patrick Madrid to start Envoy Magazine. Matt Pinto is the founder and president of Ascension Press and the author or co-author of a variety of best-selling works, including the teen question-and-answer books Did Adam and Eve Have Belly Buttons?, Did Jesus Have a Last Name?, and Do I Have to Go: 101 Questions about the Mass, the Eucharist, and Your Spiritual Life. He is also the co-creator of the Friendly Defenders Catholic Flash Cards and the Amazing Grace Series. 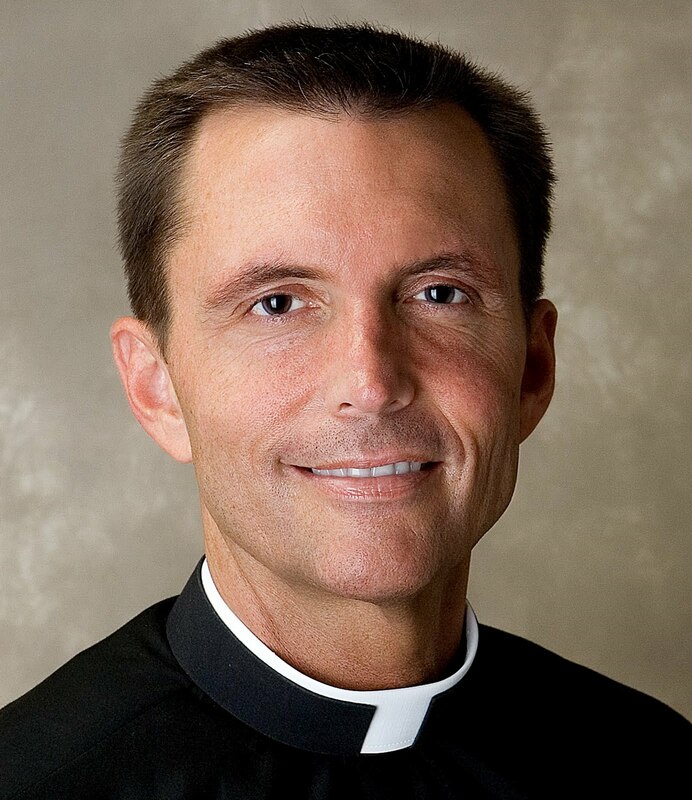 Matt has appeared on numerous television and radio programs explaining and defending the Catholic Faith, and he has conducted seminars on a variety of Catholic issues throughout the country. Matt and his wife, Maryanne, live in Pennsylvania, and are the parents of five boys and one girl. Starting December 2nd, CatholicTV will air a weekly news magazine show called “ClearVoice”. ClearVoice will be hosted by John Monahan and Christine Caswell, both of whom have years of experience working as news reporters at secular news companies. ClearVoice is a magazine-style news show with interviews of notable Catholics exploring current issues of particular interest to Catholics. These interviews will include a wide variety of Catholics, from Vatican news specialist John Allen (who has been featured on CNN & NPR) to ordinary Catholic students attending the recent National Catholic Youth Conference. ClearVoice will air each Thursday at 8PM (Eastern) with rebroadcasts throughout the week. John Monahan won an Emmy Award for his work as a news reporter. He is a communication consultant and coach to business professionals. Monahan has 17 years of experience in the news business. Monahan most recently reported for FOX25 News in Boston. During that time, he covered the presidential debates in 2000, the aftermath of the 9/11 tragedy, and was on assignment the night ‘Shoe Bomber’ Richard Reid attempted to blow up an American Airlines flight. Christine has more than 20 years experience as a television and radio news journalist. She spent more than a decade in the major market of Boston. She has reported extensively on major criminal trials, including the O.J. Simpson trial in Los Angeles. 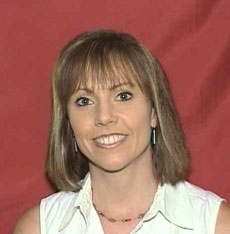 Christine is currently Director of Media Workshop/Adjunct Professor in the Communication Department at Boston College. Starting December 2nd, ClearVoice will air each Thursday at 8PM. The show will be rebroadcast at the following times every week: Friday 11:30 a.m., Saturday. 7 a.m., Sunday 11 a.m., Monday 10:30 a.m. and Tuesday 10:30 p.m.
On November 15th and 16th, CatholicTV will stream live coverage of the USCCB’s 2010 Fall Assembly in Baltimore, Maryland. Live online coverage will be viewable from 10AM to 6PM (Eastern) on the 15th, and from 8:30AM to 4PM on the 16th.. The stream will be viewable at www.CatholicTV.com/USCCB. After the live broadcasts, coverage will be archived at the same web address for viewing anytime. Discussion and vote of the 2011 Conference budget. Integrating new media into diocesan communication structures. CatholicTV will be at the assembly in order to promote CatholicTV and www.iCatholic.com and also to interview several bishops. These interviews will air on the CatholicTV talk show “This is the Day”. Some of the bishops to be interviewed will include: Cardinal-designate Donald Wuerl, Bishop Gerald Barbarito of Palm Beach, Florida, and Bishop Salvatore R. Matano of Burlington, Vermont. CatholicTV will also interview one or more representatives from Catholic Relief Services. On November 23rd, Dawn Marie Roeder will be interviewed on the live CatholicTV talk show “This is the Day”. 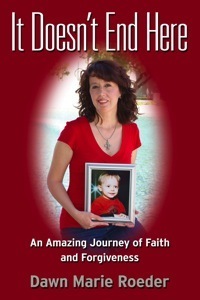 Dawn will discuss her book “It Doesn’t End Here” which tells the story of the painful loss of her 2-year old son, her battle with the prescription drug industry, and how her Catholic faith helped her endure all of it. Father Donald Calloway, MIC said of the book, “Struggling to find meaning out of the unimaginable circumstances that lead to her son's tragic death, Dawn Marie strove daily to put back together the shattered remains of her life one second at a time. On November 19th, Suzanne Haugh will be interviewed on the CatholicTV talk show “This is the Day”. Suzanne is the Director of Goodness Reigns, an organization whose aim is to help Catholics learn their faith through researching and producing short films. 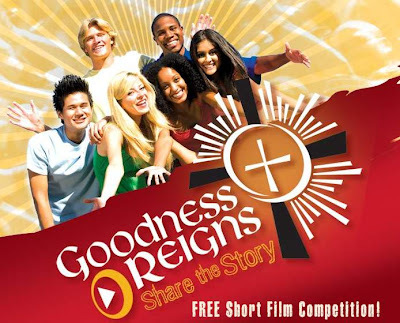 Goodness Reigns has launched a film-making contest which will award 22 youths and adults with all-inclusive travel packages to World Youth Day in Madrid, Spain in 2011. Goodness Reigns will post submitted videos on its website www.goodnessreigns.com in April of 2011. The Center For Faith and Public Life will also be discussed on This is the Day. This unique center located at Fairfield University in Connecticut, offers a public place to discuss and research issues of faith and politics. 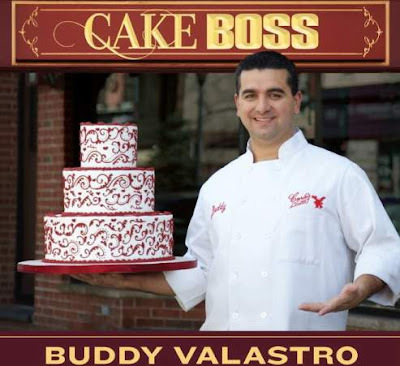 This unique center was funded by an anonymous $2 million donation in 2005, and since then, Fairfield University has invited several Cardinals as guest speakers, a papal bodyguard, renowned business professionals, professors, and more. During the month of November, CatholicTV will air programming which highlights the work of the Maryknoll missionaries in Africa and Latin America on the show “The Field Afar”. The Maryknoll missionaries consist of priests, brothers, sisters, and lay persons who primarily serve in East Asia, China, Japan, Korea, Latin America and Africa. During the month of November, “The Field Afar” focuses on Maryknoll’s work in Guatemala, Kenya, and Brazil. In Latin America, Maryknoll has helped build the infrastructures of parishes, schools, clinics, and social programs, and increasingly assists in the formation of laity. In Africa, Maryknoll Fathers and Brothers work with the hundreds of thousands uprooted by war and famine, those struggling with AIDS and orphaned by AIDS, and the many who labor to compete in a global economy. On November 1st, Catholic radio station WQOM began broadcasting in the Boston area, which is home to over 5.5 million people. CatholicTV’s daily Mass and Rosary are now broadcast each weekday from 7-8PM ET on WQOM. WQOM’s broadcast can be heard anywhere in the world using their online stream at http://www.wqom.org/. The broadcast also airs in the Boston metropolitan area on 1060AM. Until November 1st, the Boston area had been one of the only major media markets without 24/7 Catholic radio. The Daily Mass and Rosary on WQOM are produced by CatholicTV. The CatholicTV Daily Mass from the Chapel of the Holy Cross features over one hundred priests mostly from the Archdiocese of Boston and includes both diocesan priests and religious order priests. Fr. Andrew Apostoli, C.F.R., Fr. 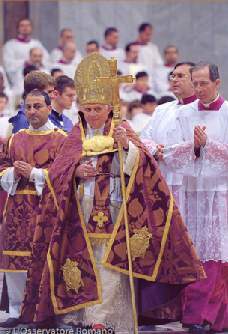 Leo Patalinghug, Cardinal Seán O’Malley, OFM Cap., and other nationally-known priests have presided over the Daily Mass on CatholicTV in the past. The daily Rosary, produced by CatholicTV, is led by President of The CatholicTV Network, Fr. Robert Reed. During the program, Fr. Reed prays in different locations in the United States and around the world. I was thinking about the success of CatholicTV recently and my thoughts turned to all of you! We have been blessed to continue to grow and bring the loving message of Christ to people in many different ways. As technology has changed and advanced, we have tried to take full advantage so that we can reach more people. Any success we have had is your success, as well. CatholicTV is unlike any other television station. We are not driven by ratings or advertising revenue and are not subject to the changing views of society. We are devoted to talking about God and how He impacts the lives of all of us. Without you, none of this would be possible. You are part of the CatholicTV family, the parish of the airwaves.As a community, we succeed. It is together that we affect people’s lives in a real and concrete way. What a great gift you are to so many who may turn on CatholicTV and be touched. It is because of you, and tens of thousands more, that we continue and succeed. Today, there may be someone in a home who happens upon CatholicTV. They may be lonely, depressed or just searching for answers in this difficult world. The Mass, Rosary, or one of the other programs that we cable-cast may make a difference. It may make them realize God is walking with them during their journey. Now that is success! So, thank you for allowing us to make a difference in people’s lives. With you, we are a strong prayer community guided by the teachings of Jesus. Without you, we are just a TV station. Please continue to pray for the success of CatholicTV. On Tuesday, November 16th, Regina Doman will be interviewed on the live CatholicTV talk show “This is the Day”. 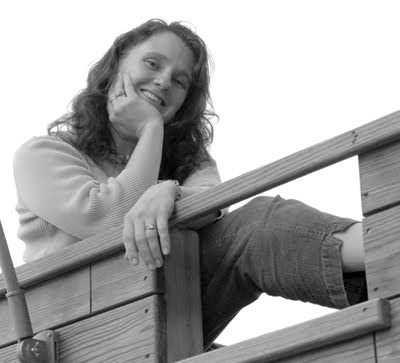 In addition to writing and editing, Regina homeschools six children, and speaks at conferences, schools, and workshops. To the question, "How do you manage to get it all done?" Regina responds, "What makes you think I get it all done?" This is the Day airs at 10:30AM ET at CatholicTV.com and on CatholicTV cable outlets. The show is rebroadcast at 7:30PM and other times during the week across the US and Canada. 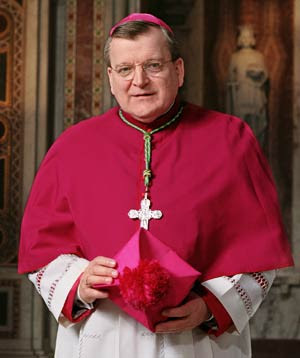 On November 1st, CatholicTV will air an interview of Cardinal-designate Raymond Burke. Cardinal-designate Burke will discuss voting during this interview. The interview will air at the following times (Eastern): 6PM and 11PM. The interview will also air on Tuesday, November 2nd at 12:30PM. CatholicTV also has a brief video of Burke discussing voting on CatholicTV’s YouTube channel. The video can be found using the following link. CatholicTV is grateful to Founder/President of CAFF, Mr. Thomas McKenna, who graciously granted CatholicTV the right to air this important interview.